At the March 18, 2019 meeting, the Hall County Board of Education approved the recommendation of Dr. Betsy Ainsworth to become Chestnut Mountain Elementary School Principal for the 2019-2020 school-year. Current principal Wade Pearce had announced that he would be resigning his position effective at the end of this school year to return to a leadership role at Eagle Ranch. Dr. Ainsworth will be moving to her new school appointment from White Sulphur Elementary School; she has been principal there since 2012. 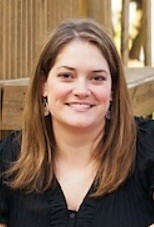 Dr. Betsy Ainsworth is a Gainesville native with over eighteen (18) years of experience in education. She was first employed in the Hall County School District in August 2002 as a teacher at Chestnut Mountain Elementary. In 2009, Dr. Ainsworth moved to a position as assistant principal, first at Chestnut Mountain and later at Sardis. She became White Sulphur Elementary School Principal in 2012. Dr. Ainsworth received her undergraduate degree from Georgia Tech, her Master’s degree from the University of North Georgia, and her PhD from the University of Georgia. Dr.Betsy Ainsworth and her husband Stuart reside in Hoschton with their son Evan, who is currently enrolled at Chestnut Mountain Elementary School. The Hall County School District has begun the process of accepting applicants for White Sulphur Elementary Principal for 2019-2020.